Tougher material Glass Reinforced Plastic (GRP) is the same material used for the hulls of boats, meaning it can cope with anything the weather throws at it. No joints or welds completely eliminating water ingress. Timber and concrete options to complement your home. Up to 150mm extra insulation exceeding British Standards for energy efficient. Standard and energy saving options depending on the use of adjoining room. A variety of styles and finishes – coming in 8 stunning colours and 3 great finishes. In order to protect it from sunlight which has a damaging effect on the surface, traditional felt roofs have required a layer of stone or gravel to be added (which often get washed into gutters and hoppers causing blockages). Also, felt roofs are susceptible to cold conditions and checks need to be made regularly for cracks to the surface. EPDM offers a more weather-resistant solution. With the ability to expand or contract according to the prevailing weather conditions. With a lifespan for a felt flat roof of 20 years. 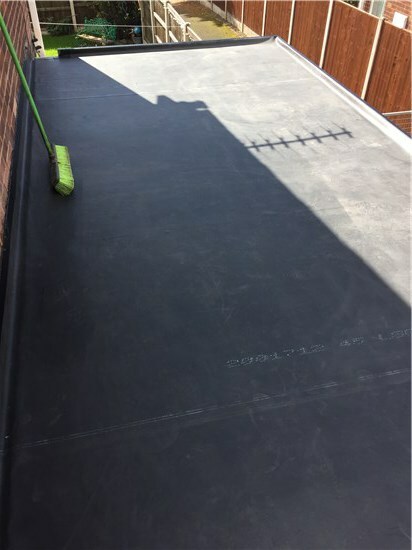 While the extended lifespan of EPDM is a definite improvement on felt flat roofing, some regard it to be an unsightly alternative that may not be in keeping with the style and traditions of the adjoining property or neighbourhood. The main point on using fibreglass roofing is its versatile structures and different colors and styles. Simple fiberglass roofing sheets are also available but homeowners like to install it because of it upgraded look which consists of fascinating colors and designs on it which gives a different look to your roof. Fibreglass roofing is fire resistant in nature. It helps in protecting the house from wind, rainfall, storm, etc. There are less possibility water drainage and leakage if maintained in a proper manner. Fibreglass roofing is light in weight as compared to other roofing methods. As metal roof and wood roof are weighted but fiberglass roof is light in nature and with different and fascinating styles on it.